In Southern California, we don’t get a snowy winter unless you live up in the mountains. And chilly for us is when the temperatures drop below 70′. Seriously, I’m hunting down gloves when it gets closer to 65′. As a SoCal native, I love those snowy winter pictures that you see all over the internet. Let me clarify, I love the pictures of the snowy winter. I don’t love being in the snowy winter. I think if I lived someplace where you had to shovel snow, I’d just give up. Just about anything can be delivered to your doorstep nowadays. 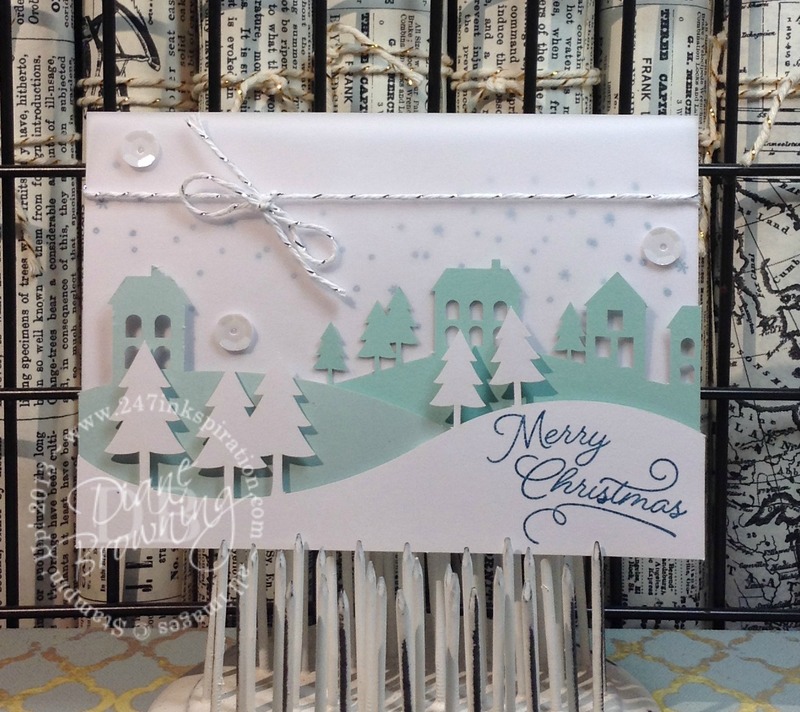 Speaking of pretty snow scenes, today’s Five Minute Friday card is the November Paper Pumpkin kit. I have to say, this kit is awesome. Lots of beautiful layers, a pretty little village, snowy scenes..it gives me the warm fuzzys here in SoCal where it’s a chilly 59′ tonight (yep, we’ve turned on the heater). The most awesome part of this card is that everything is precut for you. How great is that? No punches or die cutting needed. All I did was stamp the snowflakes on the card base and stamp the Merry Christmas. Then everything is layered: card base, vellum insert, tallest village piece, shorter village piece, and the snowy trees in front. The top two layers are added on using dimensionals, which come in the kit too. Add the sparkly baker’s twine and the sequins and viola you have your perfect snowy winter. 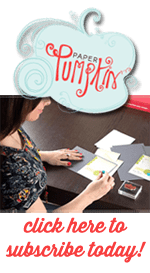 This Paper Pumpkin kit is definitely a winner!